The stories in this book remind us that we should learn from the mistakes of others -- we don't live long enough to make them all ourselves. Using humor as his vehicle, veteran sailor Don Watmough follows nautical rookie Skip Murphy's rise from rank beginner to moderately qualified sailor. Novice boaters can learn what not to do by avoiding Skip's follies. Experienced boaters will chuckle and shake their heads and think, "What an idiot! ", even as they recall, "Oops, I did that once!" 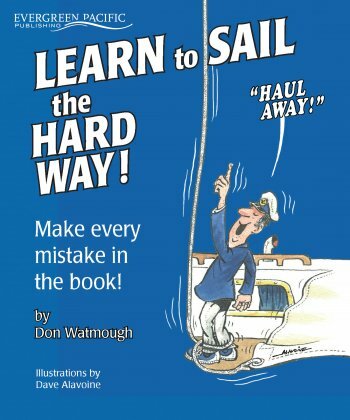 Includes a chapter by chapter summary of lessons that can be learned, and an inventory of what not to do in a concentrated "crash course" (pun intended) on how to avoid many of the mistakes that new boaters make.